As I am using all paper flowers for the tables and bouquets and ceremony…etc…I hadn’t really considered the price of real flowers. But MAN real flowers can be really expensive! How do people afford huge arrangements? However, I am sure that real flowers are something that will never go out of style. They are gorgeous, so of course they have staying power. But if you don’t have the money to spring for the “all natural” look, you can scale back, by making your bouquet, and your bridesmaids’ bouquets out of different materials. 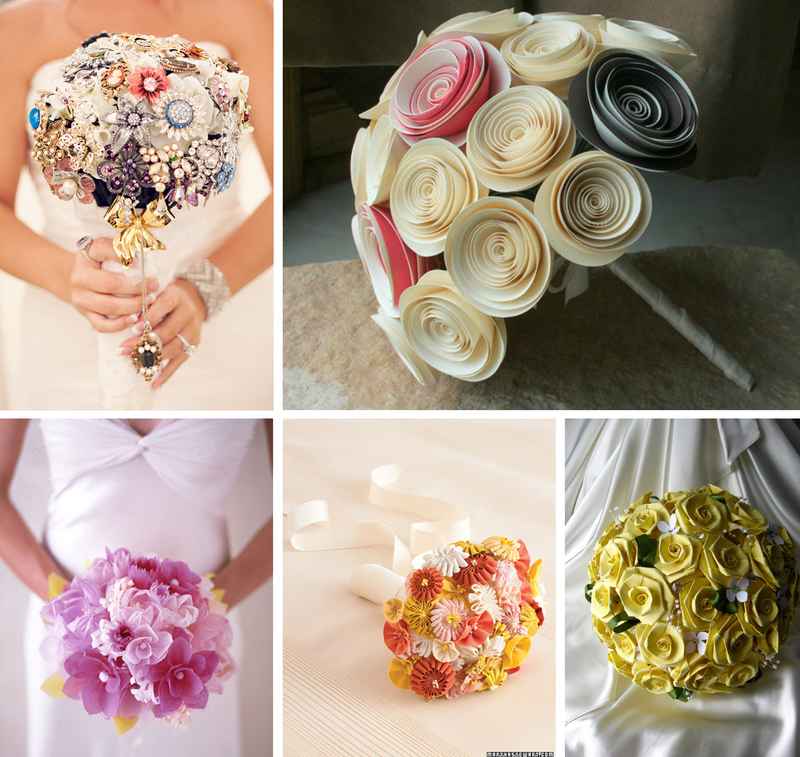 There are so many different materials to make beautiful bouquets, and if you aren’t the crafty type, Etsy.com is the perfect place to look for a lot of wedding items! 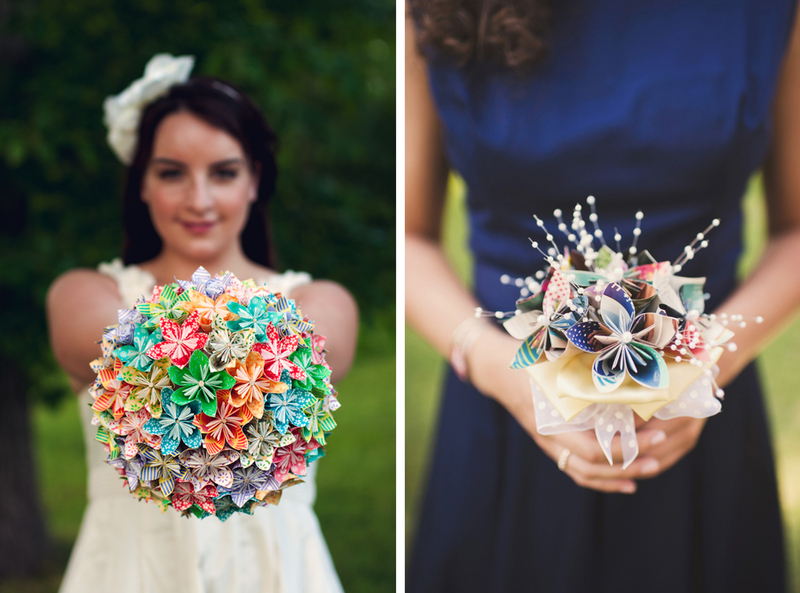 You can even do your bouquet and make mini bouquets for your girls in paper! Instead of paying hundreds of dollars on real flower bouquets, you can still make your wedding sparkle for a lot less!